In a short statement, local police and prosecutors said the young man had died late Saturday and that "two Afghans were provisionally detained on suspicion of homicide". They stressed that all lines of inquiry remained open, and that "the concrete circumstances of the event are not yet known". Holger Stahlknecht, interior minister of the state of Saxony-Anhalt where the latest incident happened, told DPA news agency that he deeply regretted "the tragic death" and understood the concerns of citizens. But he urged residents to "keep a cool head" amid fears of a repeat of the unrest seen in Chemnitz. The state's integration officer Susi Moebbeck wrote on Twitter: "Violence should be condemned anywhere, any place. Time for mourning. Time for prudence. Look after each other." German media reported that the latest incident began on a playground in Koethen, where three Afghan men were arguing with a pregnant woman over who the father was of her unborn child. Two Germans then reportedly approached the group, escalating the row. It is unclear what exactly happened next, but according to Die Welt daily the 22-year-old died of a cerebral haemorrhage. The third Afghan was not believed to have been involved in the brawl. 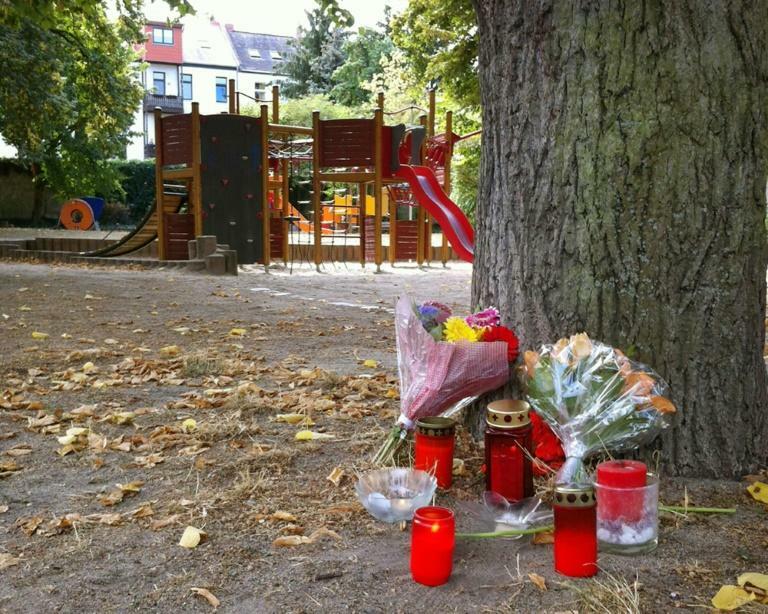 Local residents and politicians on Sunday placed flowers and candles at the scene, DPA reported. The unrest in Chemnitz in the neighbouring state of Saxony has reignited debate in Germany about Chancellor Angela Merkel's 2015 decision to open the country's borders at the height of Europe's migrant crisis. Merkel strongly condemned the protests in Chemnitz, saying there was no place for "hate in the streets" after participants assaulted foreign-looking people, reporters and police and some flashed the illegal Nazi salute. But Interior minister Horst Seehofer of her CSU sister party, and one of Merkel's fiercest critics, blasted immigration as "the mother of all political problems". Pouring fuel on the fire, the head of Germany's domestic intelligence chief on Friday raised doubts about a video showing what appeared to be immigrants being accosted and chased down the street during the protests. He said he was sceptical of media reports of right-wing extremists "hunting down" foreigners in Chemnitz, saying the footage may have been fake. But he offered no evidence to support his claim, and state prosecutors say they see no reason to question the video's authenticity.